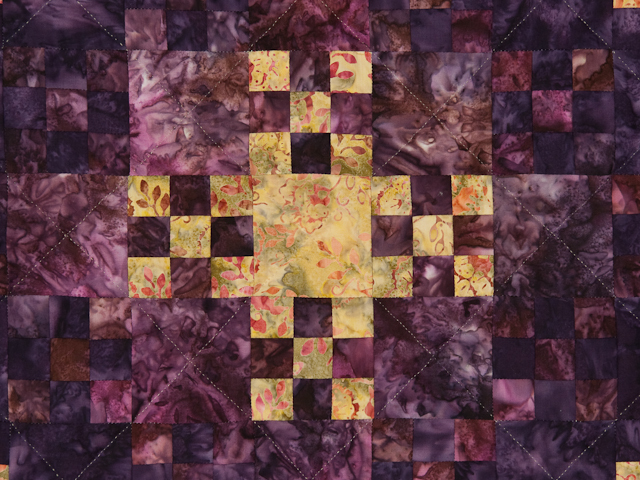 A twinkling wall quilt that could be hung on the point or straight as you see it. 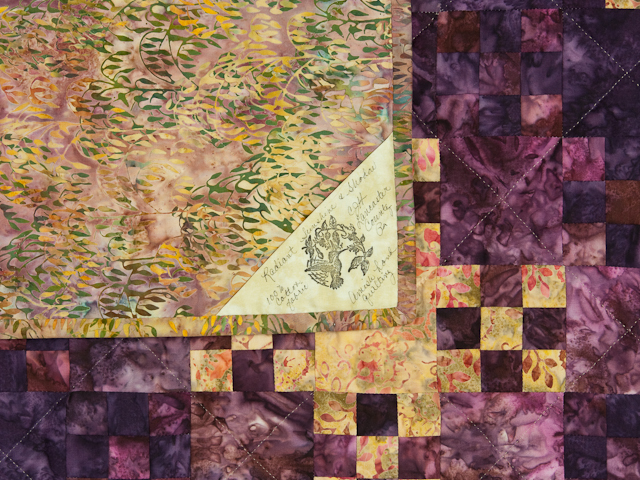 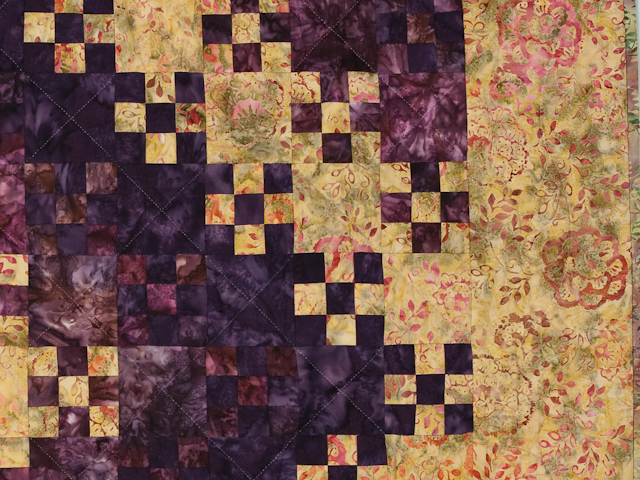 It is a nice arrangement of a nine patch block using two different fabrics. 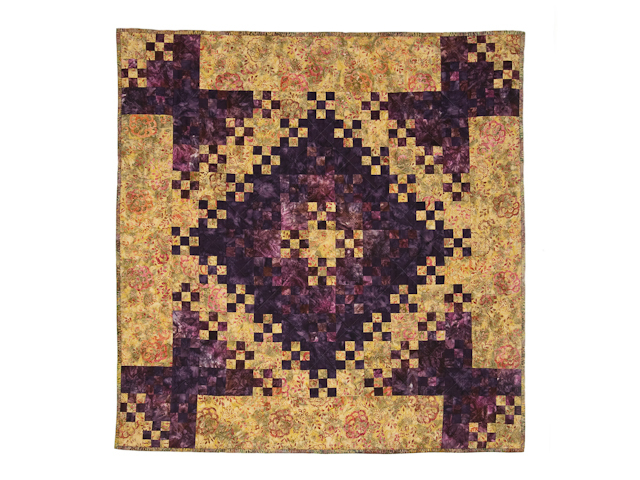 Beautifully sewed and quilted. 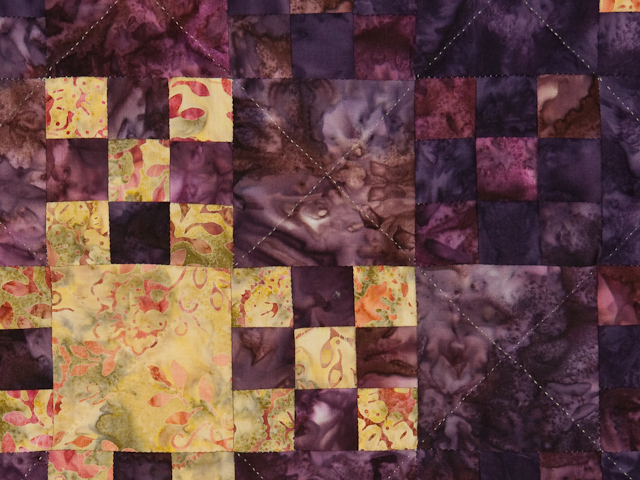 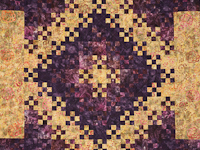 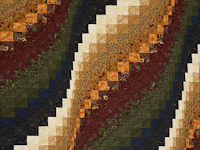 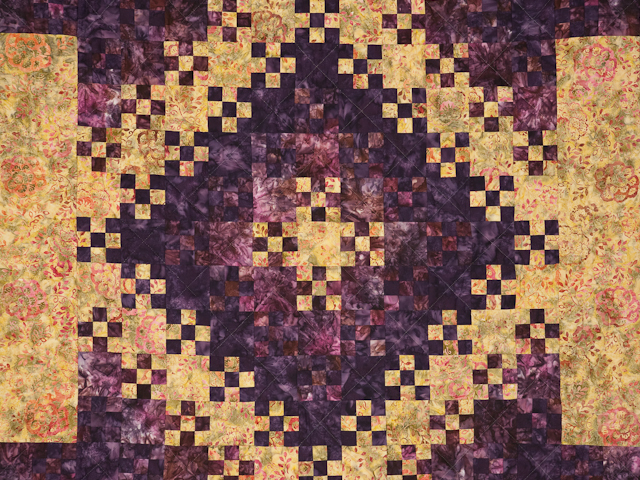 The quilted has 7 - 8 hand stitches per inch of quilting in this piece. 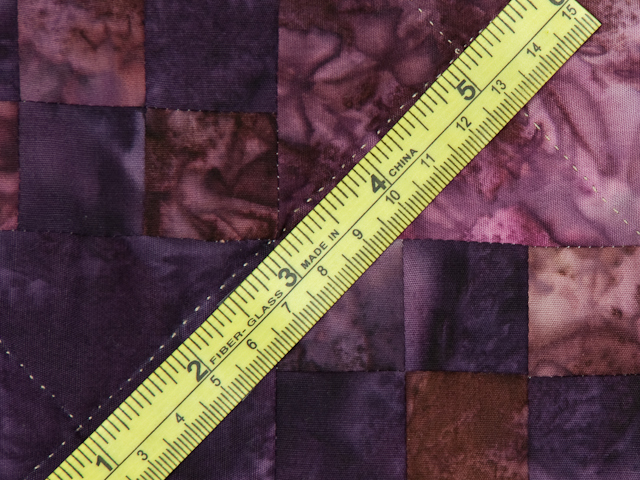 It also has a beautiful coordinated backing of batik on the backing along with the corner documentation tag that marks Jean's work. 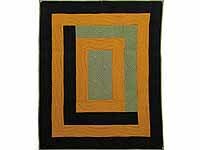 Nice size to use in any space in your home or office.